Assassin's Creed IV: Black FlagOct 29, 2013 (US)Assassin's Creed IV: Black Flag will be available October 29 for current and next-gen consoles. Pre-order at GameStop to get a limited edition poster designed by award-winning comic artist Todd McFarlane. Assassin: Edward .. Beyond Good & Evil 2TBADesigned by Michel Ancel and his acclaimed design team at Ubisoft, this is a sequel to the beloved adventure game, Beyond Good & Evil. The game has not yet, however, been officially announced under the title "Beyond Good & Evil 2&.. Beyond Good & Evil HDMar 2, 2011The Ubisoft remastered Beyond Good and Evil HD is due to release in 2011 for XBox Live Arcade..
Child of EdenJun 14, 2011 (US)Child of Eden is the "multi-sensory shooter" that will send players diving into a kaleidoscopic matrix of synchronized music and mind-blowing visuals that will usher forth yet another landmark game experience from the mind of renowned game ..
CSI: Fatal ConspiracyOct 26, 2010CSI: Fatal Conspiracy features five new connected cases written by the same writers from the television series CSI: Crime Scene Investigation. For the first time in the CSI game series, team up with the cast of CSI: Crime Scene InvestigationTM n..
Driver: San FranciscoSep 6, 2011 (US)Driver San Francisco puts the wheel back into your hands in the next installation of the classic racing saga. In this battle of good and evil, your car is your weapon; and with a huge arsenal of more than 130 vehicles to choose from, you have endless.. Fighters UncagedNov 4, 2010 (US)Fighters Uncaged is the first motion fighting game for Microsoft's Kinect. Turn Your Body Into The Ultimate Fighting Weapon! 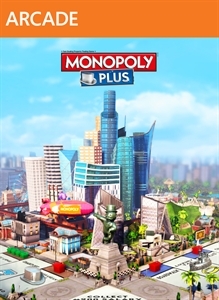 Charge head first into the vicious world of illegal free fighting tournaments, where you will use every muscle in your..
From DustJul 27, 2011 (US)Ubisoft unveils a previously unannounced god sim for XBLA, PSN, and PC for spring 2011 release. Discover a unique Modern God game where nature is the star: From Dust, the latest original concept by Eric Chahi, visionary creator of Another World. B.. 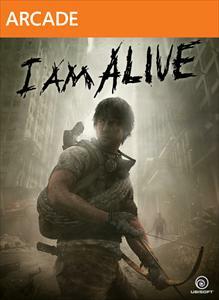 I Am AliveMar 7, 2012Ubisoft brings a new survival adventure game to current-generation game consoles via digital download. One year after a worldwide cataclysmic event has wiped out most of human civilization, a man struggles for survival. Faced with an insecure, dec..
James Cameron's AvatarDec 1, 2009 (US)A game based on James Cameron's new movie about an ex-marine who occupies an alien body and becomes embroiled in conflict on an alien world. This game supports stereoscopic 3D. ..
Just Dance 2014Oct 8, 2013 (US)Just Dance 2014 features more than 40 new tracks, ranging from chart-topping Billboard hits to classic dance party tracks. Whether it’s pop, Hip-Hop, rock, R&B or funk, there is something for everyone. A selection of Just Dance 2014 tracks includ..
Just Dance 2016October 20, 2015The world's best-selling dance game is back! Get ready to dance to the best hits from MEGHAN TRAINOR, MARTIN GARRIX, MARK RONSON FT. BRUNO MARS, THE BLACK EYED PEAS, LADY GAGA, JASON DERULO, and much more! Ubisoft's Just Dance 2016 is now availab..
Just Dance 2017October 25, 2016..
Just Dance 2018September 09, 2017..
Just Dance 3Oct 7, 2011 (US)Just Dance 3 is the third installment in Ubisoft's Just Dance series. America's Hottest Dance Game is Back! Just Dance 3 is now available for the Xbox 360 Kinect. The advanced technology of the Kinect gives Just Dance the ability to track full..
Just Dance: Disney PartyOct 23, 2012 (US)For the first time, Just Dance in collaboration with Disney are bringing their universe and their know-how to create the perfect dance game for the whole family. Just Dance: Disney Party is the game that makes you dance like a star of beloved Disney ..
Just Dance: Greatest HitsJun 26, 2012 (US)..
Michael Jackson: The ExperienceApr 12, 2011 (US)Michael Jackson: The Experience is an interactive performance-based video game which will let players sing and dance completely hands-free. 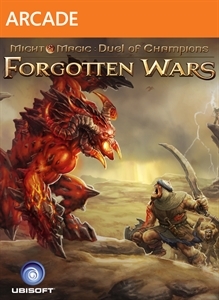 Designed for use with KINECT, Michael Jackson: The Experience will become available for Xbox 360 this April 2..
Might & Magic Duel of Champions Forgotten WarsJuly 23, 2014Immerse yourself into Duel of Champions Forgotten Wars and enter the legendary universe of Might & Magic. Experience the best strategic online card game in Forgotten Wars that offers an exciting 30+ mission solo campaign as well as an exciting multip..
My Self Defence CoachSep 25, 2012 (US)Master over 30 real self defence techniques - learn to spot threats, block and counterattack with confidence Customise your training and tone your body with exercises inspired by martial arts, tai-chi and cardio training Sharpen your reflexes- improv..
PowerUp HeroesOct 18, 2011 (US)PowerUp Heroes is a full-body combat game exclusively on the Kinect for the Xbox 360. The universe is in peril, and it's up to you to annihilate the forces of evil in PowerUP Heroes. Turn your Xbox360 avatar into a powerful superhero and face.. Pure FutbolJun 1, 2010Pure Football is a new and unique vision of soccer video games, emphasizing the intense, physical and spectacular aspects of the sport. .. 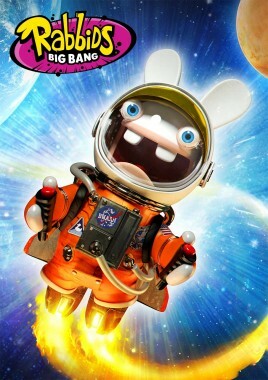 Raving Rabbids: Alive & KickingNov 8, 2011 (US)Raving Rabbids Alive & Kicking is a new party game that will use the Kinect Sensor. They've invaded our daily lives for years, and you've never really considered them to be a serious threat. You just never imagined that they could ev..
Rayman 3 HDMar 21, 2012Rayman 3 returns in HD via digital download on the Xbox 360 and PlayStation 3. Embark on a fantastic and humorous journey with Rayman and Globox to save the Crossroad of Dreams. Masterfully enhanced with eye-popping High Definition visuals and sou..
Rayman Fiesta RunTBARayman Fiesta Run for Windows 8..
Rayman OriginsNov 15, 2011 (US)Rayman Origins is the story of two friends, or rather two outrageous scoundrels that spend their time pestering the little magical folk. Yes, in the beginning Rayman was more into handing out free slaps than into world saving. Strangel..
RocksmithOct 18, 2011 (US)Developed by Ubisoft, Rocksmith is an all new rhythm action game featuring a fully-functioning electric guitar and songs by big names such as David Bowie, Nirvana and The Rolling Stones. "Guitar Hero is a party game, Rocksmith..
Rocksmith 2014 EditionOctober 22, 2014With a completely redesigned interface and all-new features, Rocksmith 2014 Edition is tailored to better teach the key elements of guitar playing, and to make learning faster and more fun than any other method. A new fully customizable “Riff Repeat.. 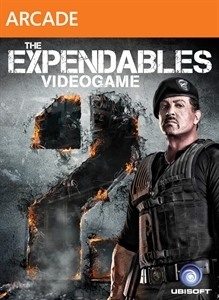 The Expendables 2 VideogameAug 17, 2012 (US)The Expendables 2 Video Game is a downloadable four-player cooperative shooter video game. .. 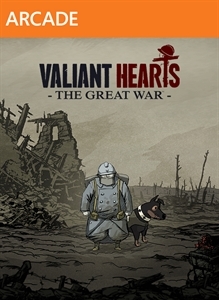 Hour of Victory, available exclusively for Xbox 360 in Summer 2007, allows you to play a key role in the pivotal and cinematic battles from the European and North African theaters of World War ..